The Federal Housing Authority FHA inspection checklist is in place to make sure the home you purchase is safe and structurally sound. HUD offers one to four unit residential homes for sale that have been foreclosed upon. Of these HUD homes available for sale, they must have had an FHA approved mortgage at time of foreclosure. A foreclosure occurs when the buyer of the home was unable to make payments on the FHA loan and lost ownership. When homebuyers wish to buy a HUD home, they can use the HUD Internet listing site which lists HUD homes for sale by state and then contact a realtor who is authorized to sell HUD homes. 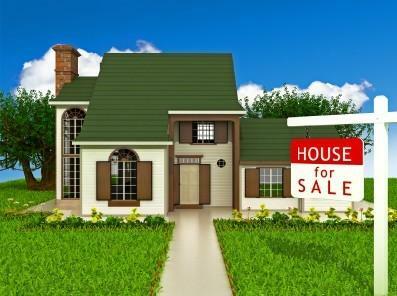 If a buyer is not paying cash or the full cost of the home, buyers must obtain an FHA-approved mortgage on the HUD home. FHA approved mortgages can be obtained through most major lending institutions. FHA does not lend money directly to homebuyers; they only guarantee a portion of the mortgage loan. Some websites or realtors might tell you there is no requirement for an inspection on a HUD home you wish to purchase. This is not entirely true. If you do wish to buy a HUD home and obtain an FHA mortgage, the home must be appraised by a professional who is certified to appraise these homes. While appraisers are not inspectors, they must complete the HUD/FHA Form HUD-92564-HS or the home inspection during the course of the appraisal process. If the appraiser identifies significant problems, an FHA loan may be denied or the FHA lender may not approve the loan. What Does the FHA Lender Do? If problem areas exist, when the FHA lender receives the checklist from the appraiser the lender will notify the prospective homebuyer. The FHA will not lend money for repairs to a home that receives a poor checklist. At this point, you can decide to shell out money for repairs on your own or find another home to purchase. Again, FHA does not offer certified home inspectors to evaluate your home, however, if the appraiser sees a problem, the home may not be in good condition and an FHA loan may be impossible. What can homebuyers who are interested in HUD homes do to avoid this problem? The answer to this is two-fold. When visiting the home and through your own eyes you feel the home is in good condition, you can go ahead with the FHA loan process and see how the appraiser's checklist comes out. If you go this route, make sure your realtor puts a clause in your bid that states your offer is contingent upon the appraisal process and the FHA's approval of a mortgage. The second route is to hire a certified home inspector on your own to inspect the home before you make an offer. If the home inspector finds problems that appear on the checklist above, you may want to skip the HUD home and seek another. Even if the home passes a certified home inspection, you should still have your realtor include the same contingency wording. FHA appraisers are not home inspectors, so read For Your Protection: Get a Home Inspection offered by FHA and HUD. This document describes all the steps you need to know about the FHA inspection checklist. For more information on FHA inspection checklists, visit HUD or FHA, or ask your realtor.